The harsh truth about blue light – why you need to be careful? We all are very much aware of the fact the harmful UV rays of the sun can cause severe damage to your eyes and that your eyes need to be protected from them. But have you ever contemplated about how harmful blue light rays can be for your eyes? Let’s talk about this and find out today. In almost 99% cases, most of our work hours are spent in front of a computer screen on a day to day basis. According to recent studies and researches, as much as 60 out of 100 people have a habit of spending close to 6 hours or more every day staring at a digital screen at the office or at home. So what exactly is blue light? Blue light is nothing but a certain color in the VISIBLE LIGHT SPECTRUM, which is easily visible to the eyes of humans. The main constituent of light is electromagnetic particles that can travel in certain waves to reach our eyes. The range of these waves is in strength and length and they usually emit a lot of energy. In all actuality, the highest amount of energy will be emitted when the wavelength will be at its shortest. The wavelength is usually measured in NM or nanometers, which is equal to one-billionth of a standard meter in the standard metric system. Each and every wavelength comes in different colors and is classified into x-rays, gamma rays, visible light, radio waves, infrared light, and UV rays or ultraviolet rays. The entire electromagnetic spectrum is made of these categories. But, among all these categories, the visible light category is the only one visible to the naked eye, and also the category that our eyes are sensitive to. The visible light category of the electromagnetic spectrum is usually further categorized into seven specific colors, namely, red, orange, yellow, green, blue, indigo and violet. Among these, blue light has the highest energy level and intensity owing to its short wavelength, and hence over exposure can be harmful to human eyes. So where is blue light emitted from? In all actuality, blue light is present all around us, wherever we are, and wherever we go. The biggest source of blue light is the light that travels from the sun through our atmospheric layers. But other common sources of harmful blue light are TV screens, computer screens, laptop screens, tablet screens and smartphone screens, LED and fluorescent lighting, and various other electronic devices. When you think about it, blue light can actually be found any and every where you go. Usually the rays of the sun with short wavelengths and high energy frequency usually collide with air molecule to create blue light dispersion. Hence, our sky looks blue from the land. Blue light is usually used by the human body to regulate the natural wake and sleep cycles that allow humans to function properly. This phenomenon is known as the circadian rhythm, regulated by blue light. But blue light has some ill-effects as well. 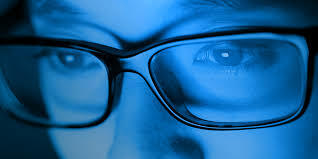 Owing to the high energy frequency of blue light, the flicker rate is much higher than any other color in the spectrum, which causes diffused clarity, affects sharpness, and creates contrast related problems that might damage one’s vision in the long run. Blame it on the ever increasing pollution levels or the drastic lifestyle changes, but snoring has become a common problem among people today. However, if waking up to your spouse’s loud snores has now become an everyday occurrence, it is high time you did something about it. Snoring happens when your body is unable to draw air through the nose. As a result, you start breathing in through the mouth and can inhale harmful germs, dust, and other impurities. Snoring happens when you cannot breathe properly when asleep. This usually occurs when your nasal passage is blocked,or the throat muscles have closed down upon the air passage. Either way, the bottom line is that it restricts the air flow in your body thereby causing deep vibrations and uneasiness. There are many anti-snoring devices in the market that you can try, right from nasal sprays and dilators containing medicated liquid that can be directly sprayed into the nose, also chin straps and breathing aids that uphold your jaws and keep the tongue from falling back. You can even try nasal strips that have to be worn over the nose while sleeping. It opens up the nasal passage allowing more air to pass through them freely. Other than the anti-snoring aids available in medical stores there are a few natural homemade remedies as well that can treat your loud snores. 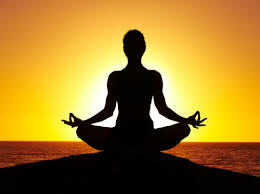 For starters, try simple exercises and yoga asanas that open up the air passage and help you reduce weight. You can also use some herbs and natural ingredients to curb your loud snores. Peppermint, Tulsi, and ginger are some common remedies for a blocked nose. Even simple yoga asanas such as the Yoga Nidra and pranayama help to flush out the harmful toxins from the body and straighten the diaphragm. Regular workout and meditation keep your blood pressure and stress levels in check thereby helping you sleep better at night. If all natural remedies fail, your doctor might recommend anti-snoring pills and other medication that would help you sleep well at night. Medicines and drugs are usually offered to patients who do not respond to conventional oral appliances. Anti-snoring pills such as antihistamine, breathing masks and palatal implants are other medical solutions to snoring that you can adopt. Wearing breathing masks over the nose serves the dual purpose of clearing the nasal passage and holding your chin up to prevent the jaw muscles from sagging in. Palatal implants, on the other hand, involve inserting of braided strands of polyester filament that harden over time up your palate and reduce your snoring. In case all your self-applied homemade remedies fail, the only option that you can turn to is surgery. Remember, surgery is the last resort that offers a permanent solution to all your breathing problems. Don’t worry though; no one is going to rip off your throat. The recent advancements in the medical field have simplified complicated surgeries. In the traditional surgery, uvulopalatopharyngoplasty (UPPP), you are given general anaesthetics as the doctor tightens the tissues around your jaw and throat. However, because the process is extremely painful and risky, surgeons prefer the quick and efficient laser therapy for treating sleep apnea. In this treatment, a small beam of the laser is used to burn the extra fat and sagging tissues in and around your jaw and chin. Radio frequency tissue ablation or somnoplasty is another pain-free surgical treatment where doctors use small amounts of low-frequency active signals to reduce the fat accumulation in the chin. Making a few simple lifestyle changes goes a long way in ensuring a trouble-free uninterrupted sleep at night. Easy and effective measures such as avoiding alcohol, cigarettes, and other addictions, following a healthy diet, exercising daily helps you sleep better at night. Consult a nutritionist or your general physician to know more about the workout regime and diet plans you can adopt. People trust their doctors to not only give them sound medical advice, but also to inform them of the best treatment options currently available. In fact, patients rarely even refer to other doctors for a second opinion, even if they have been diagnosed with a serious illness. It can be very difficult to know when a doctor has made an honest mistake that could not be avoided versus when a case of medical malpractice or gross neglect has taken place, unless you’ve enrolled on online FNP programs or obtained a law degree. Not only do most patients want to avoid insulting their doctors by asking too many questions, they also do not want to risk damaging their relationships with their physicians. 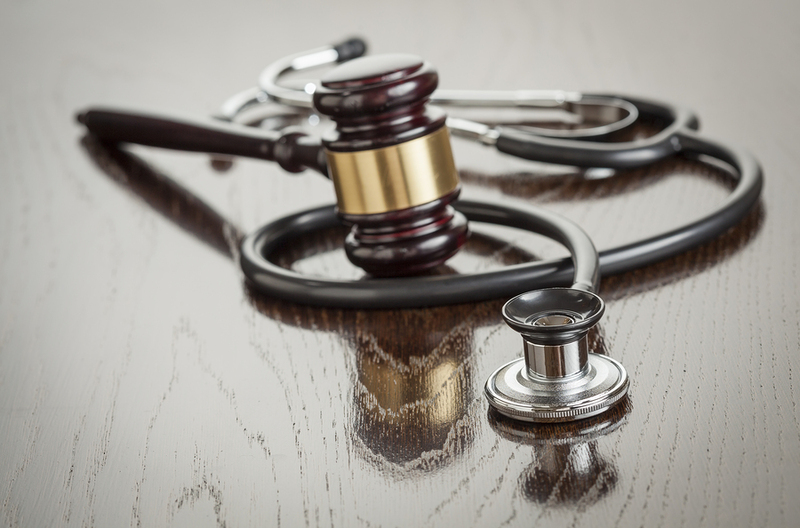 The best way to tell if you have experienced medical negligence is to have your case looked at by an attorney, but here are some of the primary clues you can look for when you want to try to figure out what your next move should be. If you are serious about your health, you should be scheduling appointments with your primary physician for routine checkups at least once a year. People who have chronic or lifelong medical disorders may find more regular medical screening may be necessary. During each annual medical appointment, you should be discussing all concerns you have with your doctor, and you should also be receiving expert medical advice and suggestions on any treatments or changes needed. If you have discussed ongoing medical issues with your doctor or the family nurse practitioner at your doctor’s office and not received any sort of helpful suggestions, you may be being medically neglected. Even if a doctor provides helpful suggestions and orders a course of treatment aimed at alleviating your medical issues, your feedback and recovery always need to be taken into account. Not all treatments are going to work on patients in the same manner, in which case physicians need to try other methods out or send their patients to medical specialists for further evaluation. Additionally, if a medical treatment is not working to your satisfaction, it could be a sign that a more serious issue is going on. There aren’t specific guidelines on how long a doctor should wait to see if a specific treatment is working, but it should become evidently clear to your physician when the route being taken isn’t going as planned. Remember that doctors are not always able to anticipate every type of health complication that may arise during your lifetime. This is why you should discuss any and all symptoms you are experience with either the FNP or your doctor as soon as they occur, and always schedule a doctor’s visit if you feel that your health is at imminent risk. Otherwise, medical complications that occur as a result of misdiagnosis or medical neglect are both serious and unethical. The fact of the matter is that the majority of people would much rather be able to talk to their doctors about their concerns rather than to need to consult with an attorney about suspected cases of medical malpractice. If there are things that are bothering you about the way your doctor has been treating your illness, speak up and wait to hear his or her reasoning. After that, you can decide if you need to talk to an attorney. Many have had difficulty trying to choose the best option for hair removal. One important option for people to consider is laser removal treatment such as the services offered by Colaz Advanced Beauty Specialists. Laser hair removal treatment can quickly, safely, and effectively eliminate unwanted growth and hair follicles from various parts of the body. Here are some other benefits of laser hair removal treatment. Laser hair removal treatment is effective at permanent unwanted hair removal. After only a couple of treatments, you can flaunt your new and improved smooth skin that is free unwanted hair. 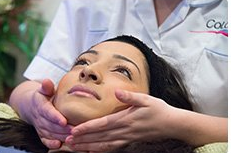 Laser hair removal treatment is quicker, allowing you to get on with your busy day. The quickness of the procedure is largely due to the power and precision of laser technology at efficiently removing unwanted hair. Of course, larger areas of unwanted hair will take longer to remove for any procedure, but laser hair removal treatment will accomplish this more effectively than some quicker procedures. Ingrown hair can develop after waxing or shaving your body due to uneven breakage of hair tips when removed. Ingrown hairs can be painful and cause infections. Fortunately, laser hair removal treatment can destroy ingrown hairs at the source. Laser hair removal is another non-invasive cosmetic method. Although the treatment can be painful, the degree of discomfort depends on how much hair needs to be removed, the area of the body where the hair is located, the skill of the laser operator, and the person’s pain tolerance level. Some individuals chose to use topical anesthesia to decrease the level of discomfort. Laser hair removal treatments are performed at therapeutic spas in most parts of the world. Side effects of laser hair removal treatment are usually brief. Side effects typically include itching, redness, and swelling, although these generally do not last for more than a few days. In some cases, patients may experience hyper-pigmentation. Lumenis LightSheer is the most progressive treatment available for the viable removal of unwanted hair. The technique uses advanced technology for rapid hair removal that does not require use of a topical anesthetic. You can continue general activities immediately treatments are over. There are other laser hair removal treatments available. How does the area respond to treatment? The response of any area of unwanted hair to treatment will differ from patient to patient depending on various factors such as the amount of hair involved and the patient's skin type. After an initial consultation, the patient is typically be informed of treatment expectations. It is typically recommend for people undergoing laser hair removal treatment to avoid removing hair via tweezing, waxing, creams or lotions, or electrolysis (electric hair removal) six weeks before treatment. It is also typically advised not to tan the treatment regions for four weeks before treatment. Abstaining from self-tanning products two weeks before treatment is also usually suggested. The treatment team at a laser hair removal center will provide a detailed list of do’s and don’ts before the procedure takes place. Some redness and swelling in the area of hair removal is typical and may feel like sunburn. This sensation ought to resolve after a few hours to a few days following treatment. Applying 30 SPF sunscreen every day over the treated territory is typically recommended. The treatment team will provide you with a list of topical solutions after the procedure(s) to help your skin heal. If the underarms are treated, it is typically recommended to avoid applying antiperspirant until told otherwise. Obviously, try not to pick, scratch, or tweeze the treated zone is a good idea. Applying 1% hydrocortisone, aloe vera, and/or ice to the affected area until redness vanishes is another useful treatment technique after laser hair removal treatment. Not every New Year’s resolution needs to be out of reach. In life, the smallest changes can make the greatest impact on your life and the lives of those around you. You don’t need to climb steep mountains or have the fattest paycheck to achieve the happiness of accomplishment. After all, a resolution is about improving yourself and your well-being. If you are going to go out there and train for that marathon, then good for you! Perhaps you’re going to commit to reading a new novel a month. No matter your resolution, there are simply daily habits that can help you transform your life in the New Year. 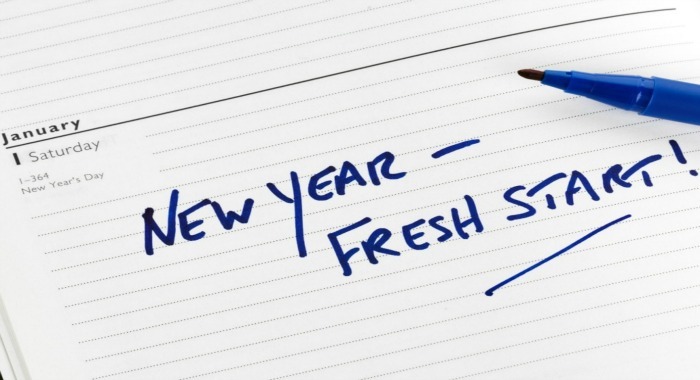 When we think of resolutions, we think of change. Change is good, but it is important to keep in touch with who you are and what you want to change. When you think of your resolutions, ask yourself: “Why do I want to change this thing about myself?” Reflect upon it, and discover whether this is something you want for yourself or is it what other people or society expects of you. Write a list of ten things you like about yourself. You do not need to share it with anyone, but keep it in a safe place where you can revisit it when you need to. Don’t be intimidated by the idea of a diet. Most people do not need to make an entirely drastic change in their daily food intake to remain healthy at first. Take small steps in reducing certain things you eat, such as excess bread or artificial sugar. There are major benefits to small changes in your daily meals; cutting down on chocolate and other dairy products may help clear up your skin, while reducing your soda habit could result in much improved gut health. Truthfully, a large part of our health has to do with what we eat. Find a healthy balance for yourself. There are many diets out there, so find one that is reasonable and that you can stick to. It may be wise to visit a nutritionist who can create a diet to fit your needs. Take a diet one step at a time so that overtime your body will adjust and actually crave the healthy foods you need. Physical activity need not be overly strenuous. A simple routine that involves movement of any kind is good for your body. If, however, you seek to change your physical appearance, keep in mind that you’ll plenty of dedication and tenacity. Instead of going for something extreme, try an activity you will enjoy. You don’t need to experience a lot of pain to get in shape. Some people find that yoga or weight training is right for them. Just like with diet, you can rewire your brain to enjoy healthy exercise. Or better yet, some people find that adjusting their body to fitness that they will find the inspiration to train for something more challenging like a backpacking trip. Exercise is not just for your body—it’s vital for proper mental health. If you need to start with baby steps, consider investing in a Fitbit and learn to become more active in your everyday life. Not everyone can afford a first-class trip to Europe or sign up for a safari in Zimbabwe, but you’ll be surprised at what you can do if you get out of your comfort zone. Maybe that means just stepping off the beaten path and travelling to a different town. If you are shy, maybe it is about overcoming your shyness to build relationships with others. On the opposite end of the spectrum, if you have unhealthy relationships in your life, it may be time to step out of your comfort zone and distance yourself from toxic people. Whichever path you choose, do something different to make 2017 a memorable year. Most of us make resolutions around our physical well-being, a fact that is evidenced by packed gyms and grocery carts filled with produce around this time of year. However, one facet of our health that needs to come center stage is mental well-being. Make your mental health a priority this year with these simple strategies and enjoy life to the fullest. Meditation isn’t all mumbo jumbo—this ancient practice can provide serious health benefits that can see your mental health improving minute by minute. There are many ways to partake in this practice, and you’re apt to find something that serves as the perfect fit for your lifestyle and expectations. Whether you attend meditation seminars or download an app like Headspace, you’ll be surprised at how much just ten minutes a day can improve your overall well-being. We all know how scatterbrained we become when we don’t get a full night’s rest, and improving your mental health could be as simple as getting more shuteye every evening. Research has consistently shown that better rest can help individuals regulate their emotions and maintain a healthy outlook. If you’re having a hard time going to sleep, or sleeping too much without feeling rested, you may need to consider seeing a professional. Consider what you can do to improve your knowledge in your career. No matter your profession or industry, there’s likely numerous ways to build upon your skillset and capabilities. If you’re in the field of accounting, take initiative and enroll in some CPA courses to expand your employment opportunities. Perhaps you’ve always wanted to learn more about graphic design; there’s never been a better time, as the skills inherent to graphic designers are now valuable to employers in a variety of disciplines. Consider becoming an Adobe Certified Associate to learn about Photoshop and Illustrator; these additions are sure to help you standout in job opportunities, but they’re also just plain fun to learn. Whatever your profession, you’re guaranteed to find new routes to explore, and using your brain to full capacity can help you combat stagnancy in the work place and improve your self-esteem. It’s nice to be able to keep up with friends and acquaintances on the various social media channels available to us, but did you realize your social media habits might be having a negative impact on your psyche? Recent research has shown that people are more susceptible to depressive feelings after scrolling through their news’ feeds. Why? Researchers suggest that we compare ourselves to others, which feeds into negative self-esteem. Take a break from your accounts, and try to cut down on how much time you spend looking through friends’ photos and videos. If you’re struggling with mental health issues, now is the time to speak up. You never know who around you may be going through similar things, and these individuals may be able to lend a helping hand or solid advice. If things are feeling like they’re too much, let someone know; you don’t need to face mental illness alone, and talking to a friend or family member, or even a health professional, about your feelings could make all the difference and see you feeling happier and healthier than ever before come next year. The majority of resolution makers tend to have at least one revolving around fitness, but exercise can actually have a significant impact on your mental health, as well. Regular exercise promotes the release of brain chemicals responsible for the “feel-good” sensation, including endocannabinoids, neurotransmitters, and endorphins. Numerous studies have shown that even simple walking can have a positive effect on moderate depression symptoms, so grab a new Fitbit and take your mental health one step at a time, no pun intended. Don’t ignore your mental health this year—practice these habits and make your year more fulfilling and enjoyable with each passing day.